The Top Three College Football Takeaways from Week Six! Penn State is for Real! 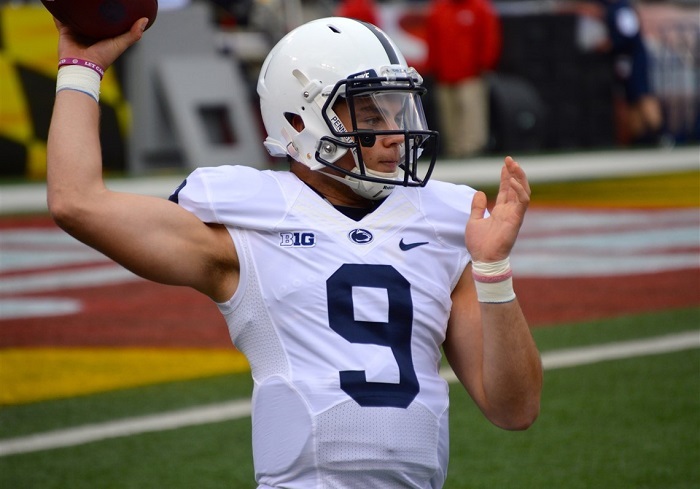 Don’t look now, but Penn State continues to roll from last year’s success. They are undefeated and ranked fourth in the country. They have three brutal games in a row: Michigan, Ohio State, and Michigan State. If they win these, and they can, then they will clear the table and win their division in the Big Ten. Miami is 4-0 with a huge win over Florida State (24-20). Mark Richt in his second coaching season has the Canes heading to the top of the heap. The remainder of the Canes games are against so-so opponents, not one of them is ranked in the top 25. A date with destiny vs. the Clemson Tiger in the ACC Championship game seems inevitable. Well not Alabama, but the rest of the field. The Big Ten, ACC, and PAC-12 all have two or three very solid teams that can challenge for the National Championship. Teams like Penn State, Ohio State, Michigan State, Michigan, Clemson, Miami (FL), USC, Stanford, Washington, and Washington State. Conversely, the SEC only has Alabama. OK, maybe Georgia, but we will believe it when we see it. Kentucky, A&M, LSU, and Florida scare nobody. This is of course to be expected as the other conferences have had an influx of top rated coaching talent.